This is the entire Second Suite for Military Band in F, Op. 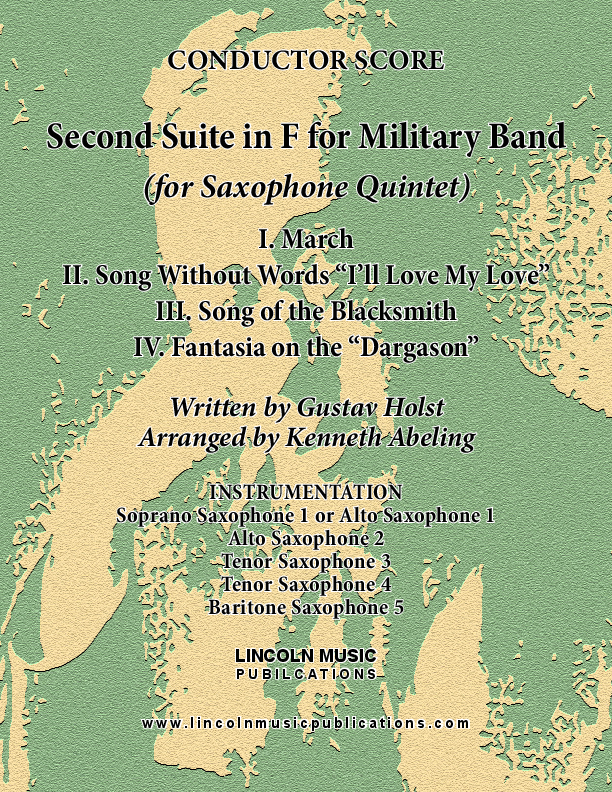 28/b by Gustav Holst transcribed here for Saxophone Quintet. The four movements of the suite are: 1.March: Morris Dance, Swansea Town, Claudy Banks- II. Song Without Words - III. Song of the Blacksmith - IV. Fantasia on the "Dargason". This is an early advanced to advanced performance level transcription.